I parked my car in a coveted parking space directly in front of Starbucks. I was glad for a short walk since it was cold enough to snow. I locked my door and rushed against the wind toward the tantalizing aroma that wafted out of the double doors. From the corner of my eye, I caught a glimpse of someone approaching. I walked a bit faster. I had a feeling it was a homeless person who was going to ask me for money. Sure enough, I heard his voice despite the violent wind. I wanted to just keep walking. I was almost to the doors and warmth and coffee. But my conscience wouldn’t let me ignore him. I turned and faced his strained eyes. Although his look was disheveled, he appeared to be quite young under his overgrown beard. He wore a beanie and a dirty, threadbare coat. I’m sure many of you have been in a similar situation. Perhaps you’ve seen a homeless-looking person near a place of business holding a sign. And if you’re like me, you become extremely uncomfortable and maybe even a little afraid. Many of the homeless are on drugs or alcohol, or are mentally ill, right? It seems so much easier, and safer, to just avoid eye contact. To walk on by and pretend we don’t see them. But ignoring them does not make them go away. In fact, Jesus said, “You will always have the poor among you…” (John 12:8). 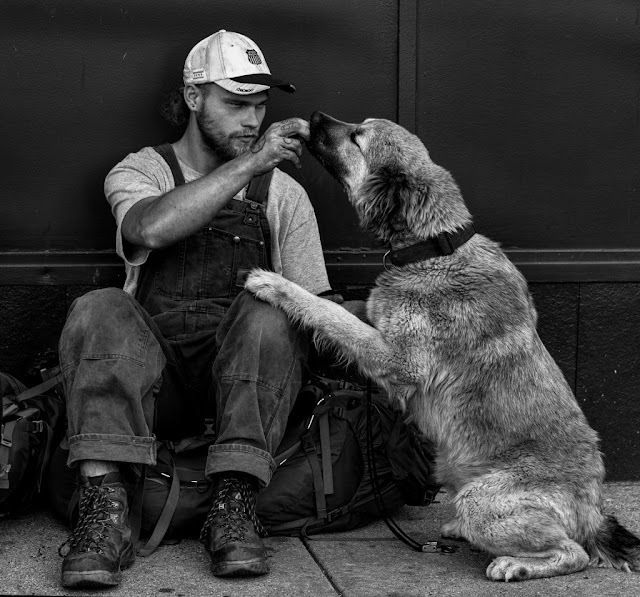 According to a one-night national survey done last January by the National Alliance to End Homelessness, there are 564,708 homeless people in the United States. That’s more than half a million people living on the streets, in cars, in homeless shelters, or in subsidized transitional housing. Of that number, 206,286 were people in families, 358,422 were individuals, and a quarter of the entire group were children.